With the extensive technology of today, businesses have multiple marketing platforms to advertise on. Some are more popular and effective than others, though. For example, in a recent ProOpinion poll, 29 percent of business professionals surveyed used online ads to market their business, while only 16 percent relied on radio ads. It makes sense that today's consumers would be more likely to come across your advertisements online rather than on the radio, but there's clearly a lot of other content on the Internet. To make sure your company is getting the attention it deserves, you need to take action. But many businesses make the mistake of relying on aggressive online advertising methods that are more irritating than they are likely to attract customers. Here are seven mistakes to avoid when you're developing a marketing plan. According to Entrepreneur magazine, excessive advertisements placed "above the fold" on a website are doing more harm than good. "Above the fold" refers to the area of a website that's visible when a user first loads the page. If people open up a website and don't see any content related to what they're looking for, but rather a bunch of ads, they're probably going to press the browser's "back" button or simply close the page. If you're looking for a good place to insert an ad for your business, don't place it next to a bunch of other advertisements at the top of a page, otherwise you're going to turn potential customers away. There's nothing more disappointing for a consumer than seeing an ad for a sale that's going on now and clicking to find out that "now" was actually yesterday. ReTargeter stressed the importance of using current campaigns in your advertisements to avoid frustrating potential customers and increasing the bounce rate of your ad. Pay close attention to the dates that you run certain ads, and don't forget to remove them once the event or season has ended. Make sure your ads are up to date to avoid disappointing consumers. Head to any website and you're bound to see a section at the bottom with suggested content and industry news that is supposedly tailored to the user's preferences based on his or her recent activity. It seems like a decent idea, but Entrepreneur pointed out that these paid advertisements aren't fooling anybody. If the ads are opening up onto other websites and pages, users will know that what they're looking at isn't really based on their interests. Linking important keywords is one thing, but using in-text advertising is just a surefire way to annoy consumers. 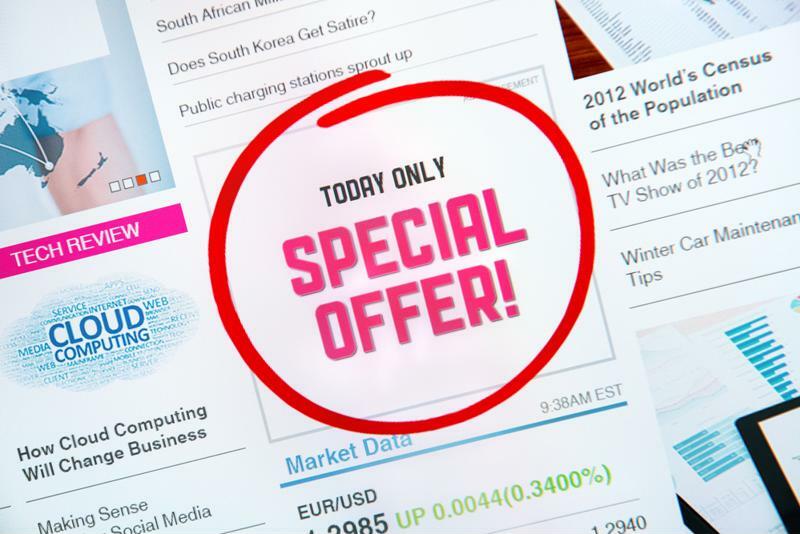 MarcoFolio.net reported that in-text ads show up as double-underlined words that will show a text balloon with more information when they're hovered over by a mouse. Readers will have a hard time clicking on the links that actually lead to your content in your articles, which can be very frustrating. The website also pointed out that in-text ads make your website load a lot slower, which definitely won't do you any favors. "Pop-up ads are becoming less common, but 'floating ads' are a big new thing." Pop-up ads are becoming less common as people rely more on anti-virus programs and pop-up blockers, but "floating ads" are a big new thing. These advertisements show up in front of a Web page's content and obstruct the reader's view. Many will only disappear if the person finds the "close" button or waits while a video advertisement plays. No one likes being interrupted in the middle of a browsing session, and if someone can't figure out how to get rid of the floating ad and view the content behind it, he or she might just close the page altogether out of annoyance. It's true that images and videos are some of the best ways to get your message across, but there's a right way and a wrong way to go about using these tools. Setting up audio clips or videos that start playing as soon as a reader opens a website is a bad way to get his or her attention. Chances are, the individual won't like having to hear what's playing, especially since it's probably not related to the content that was searched for. Instead, he or she is more likely to mute the ad out of irritation or close the page and try to find a quieter one. Google is pretty much the boss when it comes to deciding what works and what doesn't for online marketing, and according to Entrepreneur, Google doesn't like it when a website's content is repeatedly interrupted by ads. If a reader can't get through an article without having to scroll over multiple advertisements in the middle of the page, they're going to be distracted - and not in a good way. Instead, keep ads away from the actual content.